Something has been wrong with Telugu cinema for a while. A long time ago, especially during the black-and-white era, the films used to be great. The acting was theatrical rather than realistic in those days, but the stories were good and the films were coherent. Sometime in the 70s or 80s, films in the Telugu industry took a turn for the worse. To be fair, this happened to all Indian films… late 80s Hindi films are often unwatchable. But around the end of the 90s, Bollywood began redeeming itself. Most of the films are still incoherent and meaningless, but they began making a few really good ones. The Telugu industry still seems stuck in the 80s mold of incoherent, shark-jumping plots, gratuitous violence, and songs that are jarringly out of place. Instead of improving, the Telugu industry seems to be getting worse. The violence is more mindless, the plagiarism and stitching together of individual scenes from Hindi and Hollywood films has reached a point where some films feel like incoherent patchwork, and even the Telugu language is being massacred in many of the recent ones. The Telugu industry has also not realized the importance of theme music in a film (i.e. the background score, not the songs). Examples of this include Pokiri, which is full of unrealistic and meaningless violence. Maaya Bazaar, a recent film (not related to the original), is a movie with a decent idea but is poorly directed, full of maudlin sermonizing and silly fight scenes. Aite is a recent film with a good idea but ordinary execution and very poorly spoken Telugu. Gajani is a rip-off of the Hollywood movie Memento, but is poorly executed and seems a little irrelevant in the Indian situation. Perhaps it is silly to blame the industry, which is simply producing what the people want. But I believe it must be possible to make a popular film that is also good from a theoretical, critical viewpoint. Bollywood has done it, and the Tamil industry is following suit. That Telugu cinema can do it is evidenced by the large number of excellent movies produced in the past, and the occasional blips of excellence like Godavari. It is time Telugu cinema pulled itself out of the 1980s morass. This complex and interesting novel talks at several levels. At the personal level, it tells a story of individuals caught in a rollicking jungle adventure; trapped by their own principles; or surmounting the insurmountable to bring succour to a poor community; and the intertwined lives of a small group of humans brought together by history. At the community level, it captures the fragile frontier lifestyle of a community on an island and tells the story of historical atrocities wreaked on another large frontier settlement settlement by an uncaring government. And at a broad level, it attempts to render nothing less than the very soul of the Sunderbans. The story follows Kanai, a Bengali businessman settled in Delhi, and Piya, an American cetologist of Bengali descent. Kanai and Piya arrive in the Sunderbans for different reasons, but are soon caught up in a web of interpersonal relations spanning three decades. Both discover things about the Sunderbans they did not imagine. The reactions of the characters at specific times are a little hard to believe. 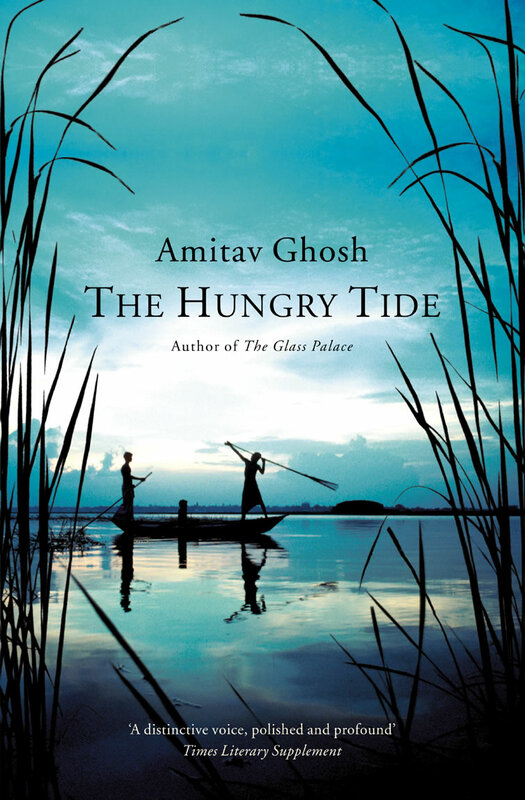 But the tapestry that Ghosh weaves more than makes up for this slight flaw; the reader is given a glimpse into what the Sunderbans are like, what makes them and the people who choose to live there tick, their history and their fauna. The mood of the novel is alternately immediate and pensive, now dealing with the immediacy of danger, now dealing with the larger questions that plague the region (and humanity in general). Significantly, Ghosh seems to see the characters and places in his story as they are, and not as a vehicle to propagate a particular ideology or to paint himself, the author, in a particular light. This is a refreshing contrast from authors who write “fashionably” or select their topics for their ability to shock or impress (often Western) audiences. It results in an interesting balance of conflicting viewpoints, each of them portrayed but not judged. All in all, a great read.